Diamond Joe Siddons is a fine rockish blues guitarist with a limited but effective voice. A professional musician since 1971 who is based in Texas, Siddons mostly writes his own material and is a no-nonsense bluesman. He utilizes a conventional two-guitar organ quintet with occasional contributions for a three-piece horn section throughout his spirited set. Most unusual among the lyrics are "I Threw the Dice," which has to do with taking a chance on love, while his cover of "Just Your Fool" is properly intense and powerful. Diamond Joe Siddons is virtually the entire show and he is heard throughout in prime form. 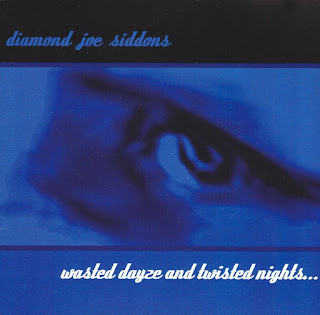 Wasted Dayze and Twisted Nights..., despite its brevity overall, is easily recommended to fans of modern blues.